Visionär will open with a homage to a great director who was recently awarded an Honorary Oscar and whose latest documentary was running to the Oscar: Agnès Varda. 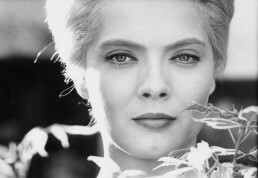 On the 2nd of May, we will screen her seminal film Cleo from 5 to 7. 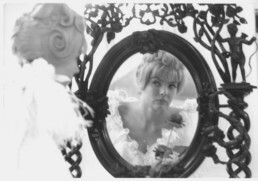 This real-time portrait of a singer (Corinne Marchand) as she awaits test results of a biopsy, captures Paris in the sixties. It’s the chronicle of the minutes of Cléo’s life, is a lively mix of vivid vérité and melodrama, featuring a score by Michel Legrand (The Umbrellas of Cherbourg) and cameos by Jean-Luc Godard and Anna Karina. 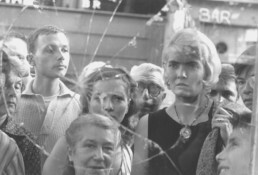 Film historians have cited Varda’s work as central to the development of the French New Wave film movement.